The Olympic range compliments the entire Barrier Reef Pools range. It proves the point that there is a fibreglass in-ground swimming pool design available to meet every lifestyle, every budget and every design need. With abundant seating and entry and exit points on all four corners, yet ample space for swimming laps, the Olympic range is ideal for all occasions. This modern pool designs attributes are clearly shown with the clean straight lines and will become an elegant centre piece to your entertainment area. The Olympic Swimming Pool range incorporates all of the distinctive Barrier Reef safety features for junior swimmers. The contemporary look and five different lengths to choose from provide great scope for meeting your entertaining requirements. Contact us for pricing and design advice. 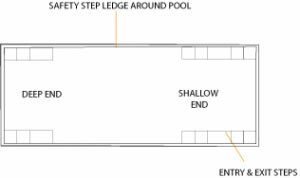 ALL POOLS HAVE A SAFETY STEP LEDGE (100mm wide) AROUND THE ENTIRE PERIMETER OF THE POOL. 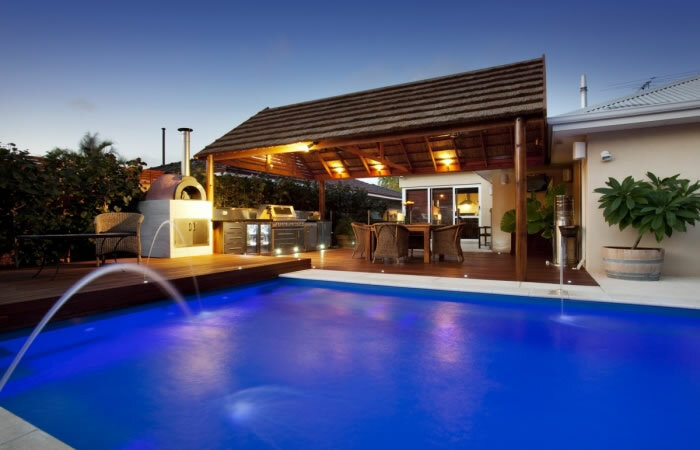 Pool and Spa installations Sydney Metropolitan area. Boasting 32 years of experience, the proprietor of Irresistible Pools & Spas, Jim Wilson, has been working to establish his impeccable reputation in the Pool industry for quite some time.